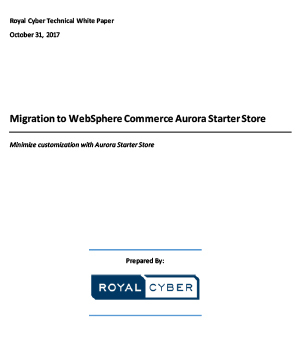 This white paper is about the migration process of IBM WebSphere Commerce starter stores of lower version or feature pack to the latest IBM WebSphere Commerce V8 Aurora Starter store. This paper discusses the migration challenges and the importance of migration from the older version. The Aurora starter store in V8 offers an extensive set of site-level, category-level, and product-level features and simplifies the responsive B2C or B2B direct web store implementation.